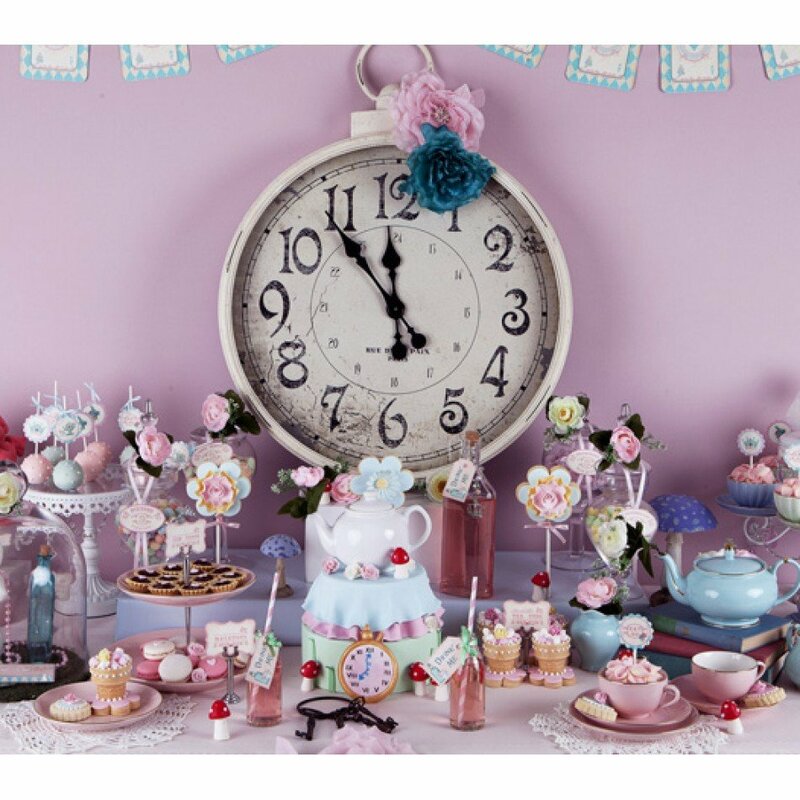 Alice in Wonderland Birthday Tea Party - Just 4 Kids Salon - Book Today! – Finally, juice boxes and bottled water served from tea kettles in cute tea cups. Want to further customize this party with lots of fabulous add-ons? No problem! Simply check out our a la carte upgrades page now! 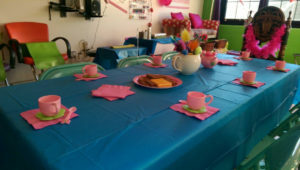 Alice in Wonderland Birthday Tea Party was inspired by Alice’s Adventures in Wonderland (commonly shortened to Alice in Wonderland). The work is an 1865 novel written by English author Charles Lutwidge Dodgson, under the pseudonym Lewis Carroll. The classic tale also happens to be amazingly popular among little girls! 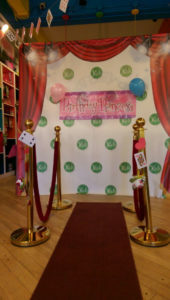 Just 4 Kids Salon really wanted to introduce a “tea party” into the mix of packages. 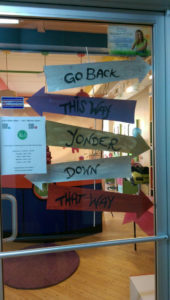 So, what more fitting of a theme than Alice in Wonderland? The story tells of a girl named Alice who falls down a rabbit hole into a fantasy world populated by peculiar and unforgettable characters. 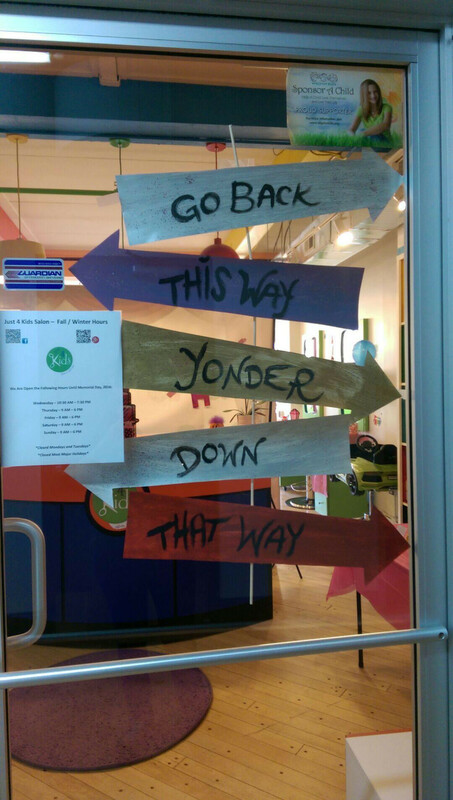 The tale “bends” logic, giving it a timeless popularity with adults and children alike. It is considered to be one of the best examples of the “Literary Nonsense” genre. Its narrative course and structure, characters and imagery have been enormously influential in both popular culture and literature, especially within the fantasy genre. As such, this Narrative brought to you by Wikipedia. Just 4 Kids’ Alice in Wonderland Birthday Tea Party is a peculiarly good time! So, what are you waiting for? Parents! 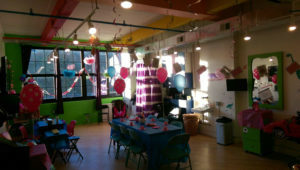 Your little girl and friends will have a most memorable experience celebrating her big day! 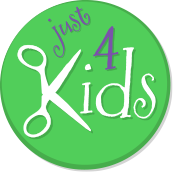 Give us a call to learn more, or “Book an Appointment” today! 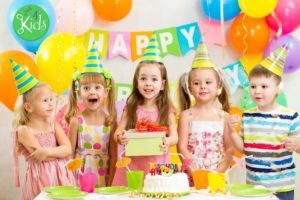 Also, if you would like to keep browsing our list of fabulous birthday party packages, click back on our Birthday Party Menu now!